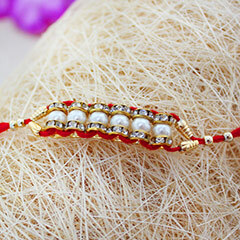 This Stone Studded Pearl Rakhi is a perfect example of the elegance and intricate craftsmanship. 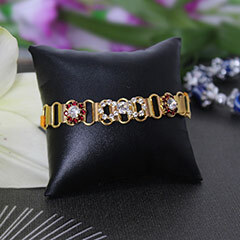 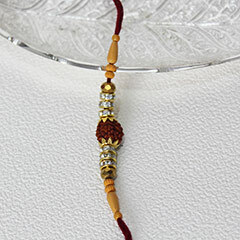 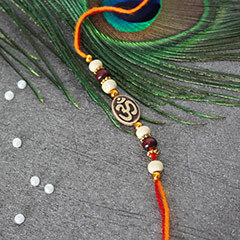 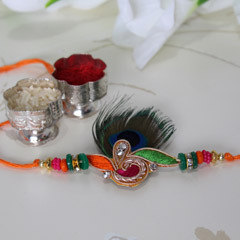 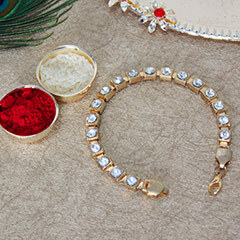 This wonderful Rakhi is so beautiful that your dearest brother will love to wear it and flaunt in style on his wrist. 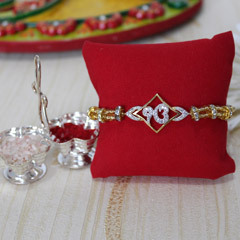 This also contains chawal and roli for tika ritual.